The Baja California Lightweight Championship is an state title, regulated by Baja California. It is currently in Mexicali. 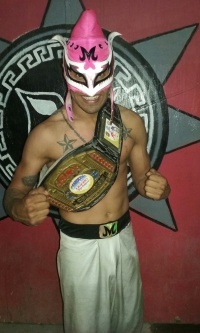 All wrestlers in the lightweight class are eligible for the championship, and the title may only be defended in Baja California. It was formerly a regional Champion known as the Regional Lightweight Championship. In 1977 there was a tournament to define a Champion in which participants not only from Baja California, but from outside the State participated. From 1980s this Regional Championship became an State Title. 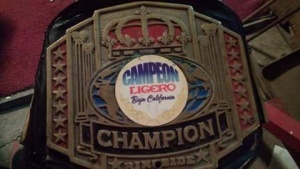 Currently it is the most disputed Wrestling Championship in Baja California.